中国江西省からオヴィラプトロサウルス類Nankangia jiangxiensis記載 - dinopantheons jimdo page! Figure 2. 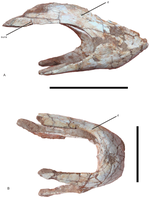 Lower jaw of Nankangia (GMNH F10003) in right lateral (A) and ventral (B) views.Abbreviations: d., dentary; sura., surangular. Scale bars = 5 cm. 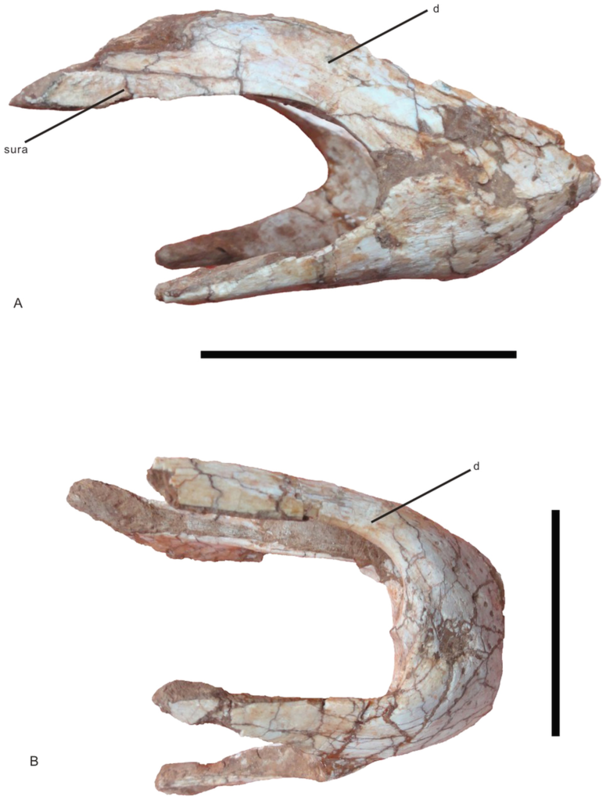 A New Oviraptorosaur (Dinosauria: Oviraptorosauria) from the Late Cretaceous of Southern China and Its Paleoecological Implications.